It never fails that in January, after the holidays and during the height of the dreary days of winter, I begin having thoughts of healthier eating. It could be those extra pounds that were added from all the holiday goodies or it could be the head cold that always seems to appear in early January. Whatever the reason, one of the first things I think about changing is adding more fruits and vegetables to my diet. Smoothies help me do that. This post contains affiliate links that pay me when you make a purchase. One of the great things about making smoothies in winter is that frozen fruit and smoothies are a match made in heaven. It's helpful there is so much delicious frozen fruit available at reasonable prices in grocery stores today. Visit the frozen fruit section of your grocery store and let your mind wander through all the possible combinations of fruits you can imagine. Don't stop there. You'll want to consider adding a vegetable or two as well. For the vegetables, I usually head to the produce section of the store. I like fresh spinach, kale, or beets for my smoothie vegetable options. 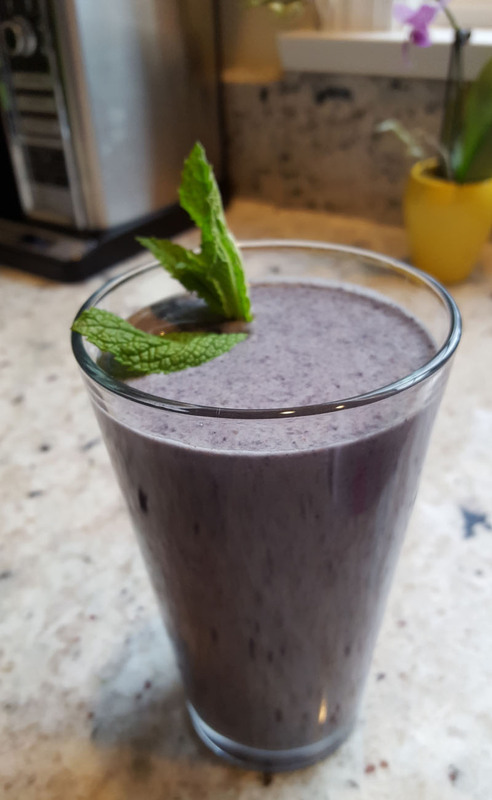 This Blueberry and Mixed Fruit Smoothie is made with frozen blueberries and a frozen mixed fruit assortment that includes peaches, pineapple, grapes, strawberries and mango. Good stuff! I also add a healthy handful of baby spinach. 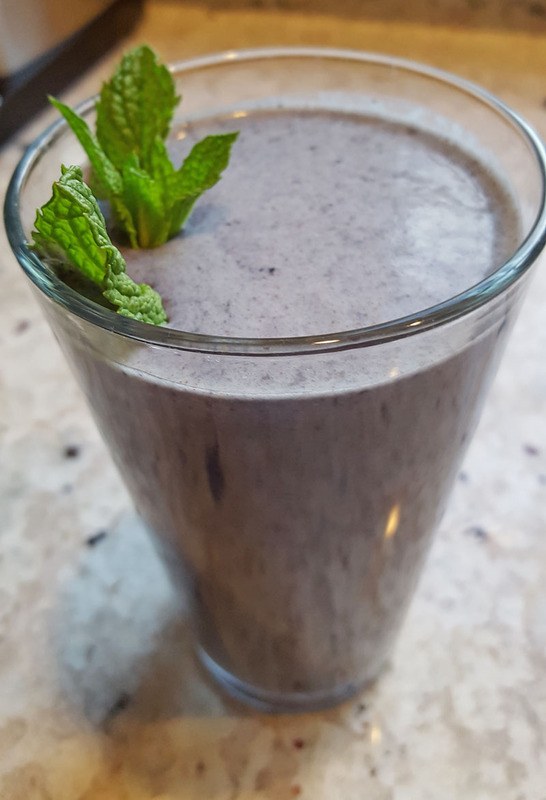 You wouldn't even know the spinach is in the smoothie by looking at the color. Other healthy ingredients include almond butter, ground flax meal, and almond milk. One of these smoothies is approximately 250 calories. If you also add a half of a medium banana the calories in this smoothie will increase to approximately 300 per serving. Put all of the ingredients in the bowl of your blender. Blend on high until the ingredients are liquefied and smooth. You don't need an expensive blender to make delicious smoothies. I love my single serve blender for quick preparation and easy cleanup. Please use the buttons on the left to share this post on Facebook, Twitter, Pinterest, or Yum. I thank you for sharing!